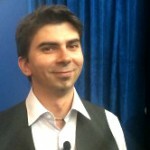 Do you want the latest research on Direct Answers from Eric Enge? 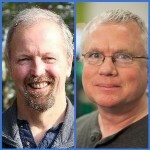 Want to hear early-adoption evangelist Mark Traphagen’s thoughts on the newest video chat technologies like Blab.im? Then you’ve come to the right place. The impressive Stone Temple Consulting duo took a break from their busy schedules to join me for a live Hangout on Air. It was the latest in a series of interviews with key speakers as we gear up for SMX East and Pubcon; we’ve been joined by Rand Fishkin, Danny Sullivan and Ginny Marvin, and we have Google’s Gary Illyes joining Monday. Click through to watch the interview or read the transcript. 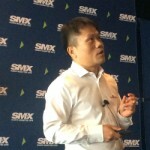 Baidu Vice President Liang Zeng has flown 3,000 miles from Beijing to spend 25 minutes with SMX Advanced digital marketers. Thank you, Zeng! Baidu is often referred to as the “Chinese Google.” Would you be surprised to learn that in China, Baidu is even more dominant in the search space than Google is in the U.S.? As we’re told in this session at SMX Advanced, Baidu has 96.3 percent market share among mobile users in China. If you or your client is looking to crack the Chinese search market, it’s imperative that you learn more about the Chinese search behemoth. So, without further ado, get to know Baidu from Zeng. Read Baidu Revealed: An Inside Look At ‘China’s Google’. 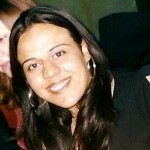 Read the full liveblog of Paid Search: Focusing on Audiences & Categories Instead of Keywords. Jerry Dischler, who heads AdWords, is full of contagious energy as he gears up to talk about what’s working and what’s not in search ads and AdWords in this morning’s keynote conversation. Whenever there’s a Googler onstage, the crowd is packed and this session is no exception. Facilitated by Search Engine Land Editor Danny Sullivan and Search Land Paid Search Correspondent Ginny Marvin, the keynote conversation transpired as follows. Read the liveblog coverage of a Keynote Conversation with Google AdWords VP Jerry Dischler. Googler Gary Illyes sits, cool and collected, on the SMX Advanced stage. Across from him is Search Engine Land Editor Danny Sullivan. Sullivan is about to ask Illyes anything and everything digital marketers have been dying to know in this “Ask Me Anything” session. 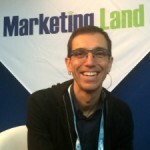 In the weeks prior to SMX, SEOs have been sending in their questions. 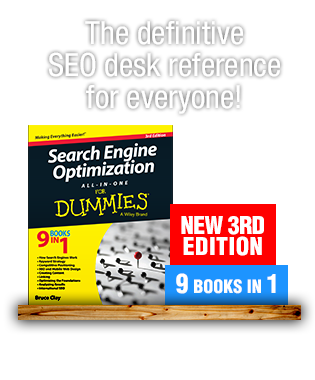 Sullivan will ask Illyes those questions and anything else he sees fit to quiz the Google Webmaster Trends Analyst on. 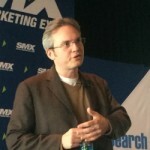 Read SEO AMA: Googler Gary Illyes Answers Questions at SMX. 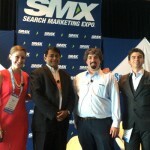 Read the liveblog coverage of the SMX Advanced session Mobilegeddon! Surviving Google’s Mobile Friendly Update. 2015’s “The Mad Scientists of Paid Search” panel features PPC pros at the top of their game: Soren Ryherd, Andrew Goodman and Andy Taylor. Learn why current tools aren’t ideal for the multi-channel landscape, hear what influences a conversion, and get other deep thoughts for paid search professionals to think about. 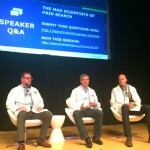 Read the SMX Advanced 2015 liveblog coverage of Mad Scientists of Paid Search. Between conferences and clients, Lisa Williams — a woman who needs no introduction in the SEO community — has been hard at work on her first book, “When Everybody Clicks: Sustainable Digital Marketing,” will be available on June 2. In fact, “When Everybody Clicks” will be available for free download June 2–5. 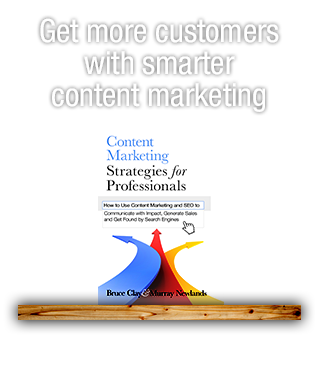 In writing this book, Williams interviewed more than 60 digital marketing thought leaders, including Bruce Clay, Eric Enge, and Michael King. The aim of this passion project? 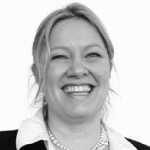 To understand how relationships impact the technology industry. We turned the tables on Williams and asked her to answer our questions in this exclusive interview. Williams, who is speaking at SMX Advanced next week, reveals lesson learned while writing “When Everybody Clicks” and talks about digital marketing priorities and Google’s mobile-friendly update. 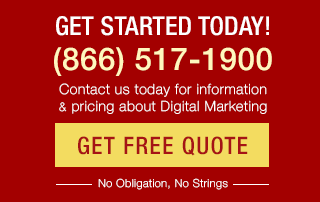 “Everyone’s been preaching the importance of having a robust mobile marketing strategy for the past seven years or so, and although we all know this, a lot of us still decided to put mobile on the backburner. Now that ‘Mobilegeddon’ is upon us, and Google is constantly telling us how important mobile ‘micro-moments’ are, marketers are being forced to act — 2015 could turn out to be the actual ‘year of mobile,'” said SMX Speaker and WordStream Content Marketing Specialist Margot da Cunha. 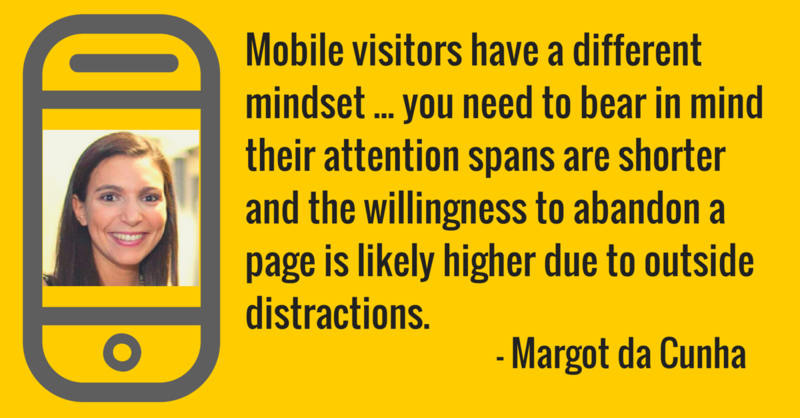 Read more of Mobile Marketing: How to Convert the Mobile Visitor.